Lavrenty Beria, the son of a landowner in Abkhazia, was born near Sukhumi, Russia, on 29th March, 1899. His mother was a deeply religious woman and had a great impression on him as a child. Beria attended the Baku Polytechnicum and joined the Bolsheviks in March 1917 and was a member of the Baku City Soviet during the Russian Revolution. During the Russian Civil War Beria supported the Muslim Democratic Musavat Party in opposition to the Red Army. According to Roy A. Medvedev, the author of Let History Judge: The Origins and Consequences of Stalinism (1971): "Beria had never been a Marxist or a revolutionary. Right from the start he was an unprincipled careerist, capable of any crime... as early as 1919, he had connections with the Musawat intelligence service of Azerbaijan, and in 1920 with the security division of the Menshevik government of Georgia." Nikita Khrushchev was told by Grigory Kaminsky that when he was working in Baku "there were rumours rampant that during the occupation of Baku by English troops, Beria worked for the counter-intelligence service of the Mussavat government. Since the Mussavat counter-intelligence service was under the control of the English, it was said that Beria must be an English intelligence agent operating through the Mussavatists." The Musavats were defeated in 1920 and over 2,000 members, including Beria, were arrested. 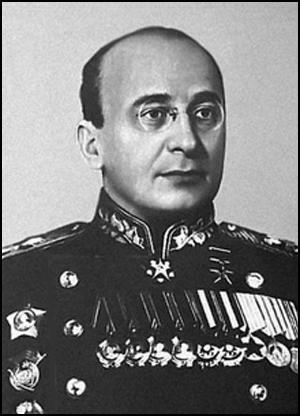 It was later claimed that Beria was about to be executed when he was saved by the intervention of Sergy Kirov. Beria became a member of Combating Counter-Revolution and Sabotage (Cheka) and played an important role in the defeat of the Mensheviks in the region. By 1922, Beria was deputy head of the Georgian branch of Cheka's successor, the Government Political Administration (OGPU). In 1924 Beria was in charge of the repression of a Georgian nationalist uprising. It is claimed that up to 10,000 people were executed. Beria used to tell his prisoners that we will "let you rot in the camps... we'll turn you into camp dust." He liked to boast about his victims: "Let me have one night with him and I'll have him confessing he's the King of England." A psychopath, Beria was said that he was one of the few senior figures in the OGPU who personally tortured his victims. As a reward for his efforts. Beria was promoted head of the Georgian OGPU. Simon Sebag Montefiore has claimed that: "He (Beria) was witty, a font of irreverent jokes, mischievous anecdotes and withering put-downs. He managed to be a sadistic torturer as well as a loving husband and warm father but he was already a Priapic womanizer whom power would distort into a sexual predator." Vyacheslav Molotov met him during this period and described him as a "most clever man" who was "inhumanly energetic - he could work a week without sleep". 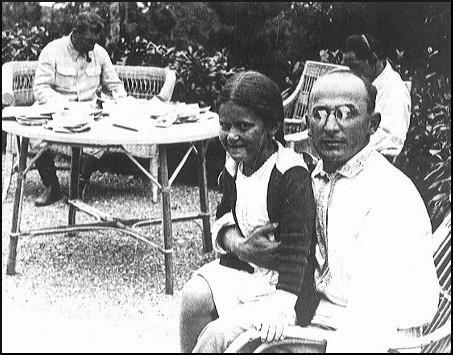 Beria with Stalin and his daughter, Svetlana. In 1926, Gregory Ordzhonikidze, head of the Soviet Communist Party in the South Caucasus region, introduced him to fellow-Georgian Joseph Stalin. The two men became close friends and Beria took over Stalin's holiday security. Milovan Djilas pointed out: "Beria was a Georgian, like Stalin, but one could not tell this at all from the looks of him. Georgians are generally bony and dark. Even in this respect he was nondescript. He could have passed more easily for a Slav or a Lett, but mostly for a mixture of some sort." Nikita Khrushchev later recalled: "Beria and I started to see each other frequently at Stalin's. At first I liked him. We had friendly chats and even joked together quite a bit, but gradually his political complexion came clearly into focus. I was shocked by his sinister, two-faced, scheming hypocrisy. Soon after his transfer to Moscow, the atmosphere in the collective leadership and in Stalin's inner circle took on an entirely different character from what it had been before. It changed very much for the worse." Stalin told Khrushchev: "Before Beria arrived, dinner meetings used to be relaxed, productive affairs. Now he's always challenging people to drinking contests, and people are getting drunk all over the place." Khrushchev was always cautious when Stalin criticised people: "Even though I agreed with Stalin completely, I knew I had to watch my step in answering him. One of Stalin's favorite tricks was to provoke you into making a statement - or even agreeing with a statement - which showed your true feelings about someone else. It was perfectly clear to me. that Stalin and Beria were very close." In 1936 Beria started plotting against Gregory Ordzhonikidze. According to Adam B. Ulam, the author of Stalin: The Man and his Era (2007): "In Party circles Ordzhonikidze enjoyed genuine popularity. Unlike Molotov or Kaganovich, he was reputed on occasion to stand up to Stalin and to try to soften his cruel disposition. It is quite possible that the very fact of their early intimacy, the memory of the pre-Revolution days when Ordzhonikidze ranked him in the Party, now grated on Stalin. Later on it was alleged that the tyrant's new favorite, then head of the Transcaucasian Party, Lavrenti Beria, had for a long time intrigued against Ordzhonikidze and worked systematically to arouse Stalin's suspicions against him. Beria's rise was enhanced by the very fact that those who knew him, like Ordzhonikidze, considered him a scoundrel and advised Stalin accordingly: a man like that had to be personally loyal; perhaps the very hostility against him was prompted by fear that he would unmask their intrigues, tell Stalin what they were saying behind his back." Stalin's fear of Ordzhonikidze increased when he discovered that Ordzhonikidze was using his influence to protect party members such as Georgy Pyatakov who were being investigated by the NKVD. Rumours began to circulate that Ordzhonikidze planned to denounce Stalin before the central Committee Plenum in February, 1937. It was therefore not surprising that Ordzhonikidze was found dead before he could make his speech. The death certificate, signed by Grigory Kaminsky, the Commissar for Health, claimed that he had died from a heart-attack. Kaminsky was himself arrested soon afterwards and executed. In 1938 Joseph Stalin told Nikolai Yezhov that he needed some help in running the People's Commissariat for Internal Affairs (NKVD) and asked him to choose someone. Yezhov requested Georgy Malenkov but Stalin wanted to keep him in the Central Committee and sent him Lavrenti Beria instead. Simon Sebag Montefiore commented: "Stalin may have wanted a Caucasian, perhaps convinced that the cut-throat traditions of the mountains - blood feuds, vendettas and secret murders - suited the position. Beria was a natural, the only First Secretary who personally tortured his victims. The blackjack - the zhgtrti - and the truncheon - the dubenka - were his favourite toys. He was hated by many of the Old Bolsheviks and family members around the leader. With the whispering, plotting and vengeful Beria at his side, Stalin felt able to destroy his own polluted, intimate world." Robert Service, the author of Stalin: A Biography (2004) has argued: "Yezhov understood the danger he was in and his daily routine became hectic; he knew that the slightest mistake could prove fatal. 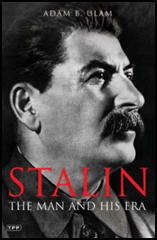 Somehow, though, he had to show himself to Stalin as indispensable. Meanwhile he also had to cope with the appointment of a new NKVD Deputy Commissar, the ambitious Lavrenti Beria, from July 1938. Beria had until then been First Secretary of the Communist Party of Georgia; he was widely feared in the south Caucasus as a devious plotter against any rival - and almost certainly he had poisoned one of them, the Abkhazian communist leader Nestor Lakoba, in December 1936. If Yezhov tripped, Beria was ready to take his place; indeed Beria would be more than happy to trip Yezhov up. Daily collaboration with Beria was like being tied in a sack with a wild beast. The strain on Yezhov became intolerable. He took to drinking heavily and turned for solace to one-night stands with women he came across; and when this failed to satiate his needs, he pushed himself upon men he encountered in the office or at home. In so far as he was able to secure his future position, he started to gather compromising material on Stalin himself.... On 17 November the Politburo decided that enemies of the people had infiltrated the NKVD. Such measures spelled doom for Yezhov. He drank more heavily. He turned to more boyfriends for sexual gratification." On 23rd November 1938, Beria replaced Nikolai Yezhov as head of the People's Commissariat for Internal Affairs (NKVD). Yezhov was arrested on 10th April, 1939. It is claimed by the authors of Stalin's Loyal Executioner (2002) that Yezhov quickly confessed under torture to being an "enemy of the people". This included a confession that he was an homosexual. With the murder of Leon Trotsky in 20th August, 1940, all the leading figures involved in the Russian Revolution were dead except for Joseph Stalin. Of the fifteen members of the original Bolshevik government, ten had been executed and four had died (sometimes in mysterious circumstances). The armed forces suffered at the hands of Beria and the NKVD. It has been estimated that a third of all officers were arrested. Three out of five marshals and fourteen out of sixteen army commanders were executed. 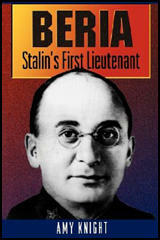 Beria prospered under Joseph Stalin and he became a member of the Central Committee of the Communist Party. In February, 1941, he became deputy prime minister and in 1946 joined the Politburo. Milovan Djilas met him during this period: "Beria was also a rather short man in Stalin's Politburo there was hardly anyone taller than himself. He, too, was somewhat plump, greenish, and pale, and with soft damp hands. With his square-cut mouth and bulging eyes behind his pince-nez, he suddenly reminded me of Vujkovic, one of the chiefs of the Belgrade Royal Police who specialized in torturing Communists. It took an effort to dispel the unpleasant comparison, which was all the harder to forget because the similarity extended even to his expression - a certain self-satisfaction and irony mingled with a clerk's obsequiousness and solitude." After the death of Joseph Stalin in March, 1953, Beria attempted to replace him as dictator of the Soviet Union. He was defeated by a group that included Nikita Khrushchev, Vyacheslav Molotov and Georgy Malenkov. Beria was arrested and accused of conducting "anti-state activities". Lavrenty Beria was found guilty and was executed on 23rd December, 1953. Beria had never been a Marxist or a revolutionary. Right from the start he was an unprincipled careerist, capable of any crime. He began as an inconspicuous inspector of housing for the Baku city Soviet. During the Civil War the adventurer Bagirov gave Beria a job in the Cheka. At that time the Soviet regime was not firmly established in the Caucasus and Beria naturally tried to ensure himself against all eventualities. His trial in 1953 established that, as early as 1919, he had connections with the Musawat intelligence service of Azerbaijan, and in 1920 with the security division of the Menshevik government of Georgia. In 1921 M. Kedrov, head of a special division of OGPU checking up on the work of the Azerbaijan Cheka, whose chairman was Bagirov and whose vice-chairman was Beria, established that Beria had released enemies of the Soviet regime and condemned innocent people. Suspecting treason, Kedrov reported this to Dzerzhinskii in Moscow, and suggested that Beria be removed from his post as untrustworthy. For reasons unknown, his letter produced no results at that time. In the second half of the twenties Beria transferred to the GPU of Georgia. By intrigues and crimes he advanced himself to the head of the GPU of Georgia and then of all Transcaucasia. Stalin did not know Beria personally before 1931, although he must have heard of him. He must also have known that Beria was an enemy of the Party's First Secretary in Transcaucasia, L. Kartvelishvili, and that Bagirov was Beria's protector. Stalin might also have heard negative opinions of Beria from Kirov and Ordzhonikidze. According to A. V. Snegov, then the head of the organizational section of the Transcaucasian Party Committee, Stalin and Beria met under the following circumstances. In the summer of 1931 the Transcaucasian Party Committee suddenly received a special decree from the Politburo about a rest cure for Stalin. The Transcaucasian Committee was to make all the arrangements. Tskhaltubo was chosen as the place, with Beria as chief of security. In an impressive flurry, he sent a multitude of OGPU agents to Tskhaltubo and took personal command of Stalin's bodyguard for a month and a half. In these weeks, repeatedly talking with Beria, Stalin could see that he was a "useful" man. In late September or early October Stalin returned to Moscow, but he did not forget Beria. Soon the Tbilisi officials received an order to prepare a report for the Politburo, on a subject not specified. All the members of the Transcaucasian Party Buro and of the three republics' Central Committees went to Moscow. Kaganovich presided at the Politburo meeting. Of course Stalin was also there, clearly in a bad mood. First Lavrentii Kartvelishvili spoke, then G. Davdariani for the Georgian Central Committee, V. Polonskii for the Azerbaijan CC, and A. Khandzhian for the Armenian CC. For some reason Ordzhonikidze was absent. Snegov asked his neighbor why, and received the reply: "Why should Sergo attend the coronation of Beria? He's known that crook for a long time." Beria was also a rather short man in Stalin's Politburo there was hardly anyone taller than himself. He, too, was somewhat plump, greenish, and pale, and with soft damp hands. With his square-cut mouth and bulging eyes behind his pince-nez, he suddenly reminded me of Vujkovic, one of the chiefs of the Belgrade Royal Police who specialized in torturing Communists. It took an effort to dispel the unpleasant comparison, which was all the harder to forget because the similarity extended even to his expression - a certain self-satisfaction and irony mingled with a clerk's obsequiousness and solitude. Beria was a Georgian, like Stalin, but one could not tell this at all from the looks of him. Georgians are generally bony and dark. Even in this respect he was nondescript. He could have passed more easily for a Slav or a Lett, but mostly for a mixture of some sort.